Bright Smiles & Bright Minds! It is our belief that every child is a treasure who brings something special to the world! We believe that every child comes to us with immense natural intelligence and it is our job at Little Sun People to honor, nourish and inform that intelligence. Little Sun People, Inc is a unique community child care center founded in 1980 by Fela Barclift ("Mama Fela"), mother of four and lifetime resident of the Bedford-Stuyvesant community. Many of her own experiences coupled with the sobering lessons learned from the Kenneth and Mamie Clark Doll experiments of the 1940s and later revisited in 2009 inspired Mama Fela to desire something more for her children and community. Little Sun People, participates in the Child and Adult Care Food Program (CACFP). Our school aims to help children grow in mind and body. We believe that mental development requires an alert mind at the same time that good physical development requires a healthy body. 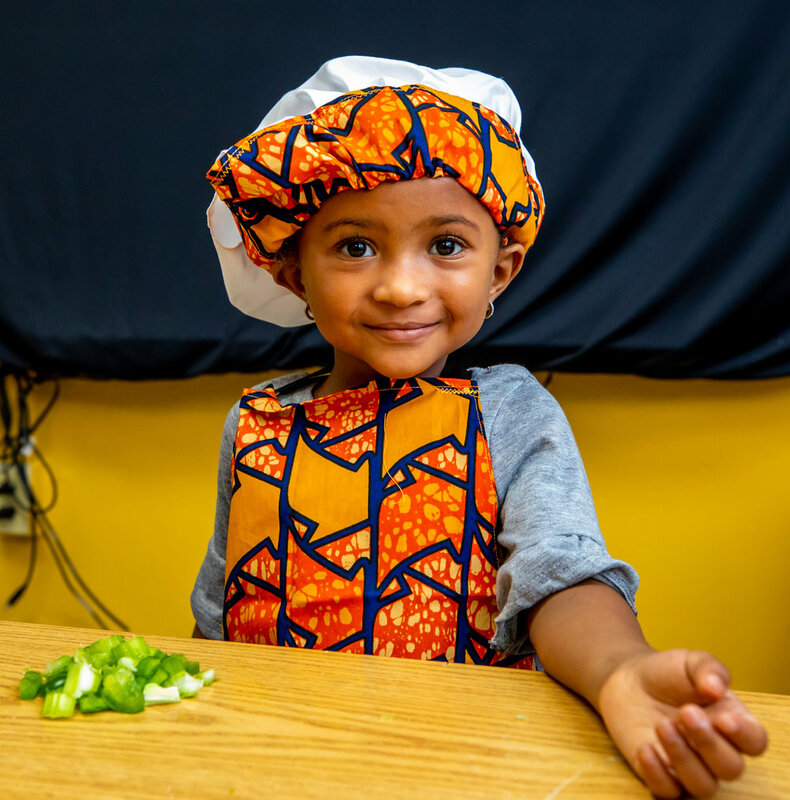 We believe that a healthful diet is a necessity for both good physical and mental development, our goal is to supply free of charge a healthful variety of nourishing meals for the children. Our meals are supplied by a reliable vendor with whom we partner to provide a research based nutritious diet to our children. as increase balance and coordination. We believe that trips and other external educational and recreational experiences are important for better academic and social development of our children. Together, for each of the ten months, our staff chooses at least 2 trips each month where we can use our senses to explore the world outside of Little Sun People. If we are studying domestic animals, we’ll arrange to visit two farms and a petting zoo in the area. We go out exploring for every theme. Children may be scheduled to take field trips to various museums, parks, and zoos. together. These special events are an integral part of the Little Sun People program and include performances by the children, followed by a celebratory meal and refreshments for all to enjoy!